The behavior of one or both spouses is often at the heart of the failure of a marriage. This is never more true than when children are involved. This article takes a close look at spousal behavior and how it is handled during deposition. The divorce lawyer, when deposing the opposing spouse, will question him/her concerning shortcomings in parenting and unkind or poor conduct in several important areas. 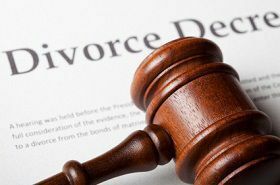 The divorce lawyer must thoroughly investigate and account for any outbreaks of domestic violence on the part of one of the spouses as child custody in such cases ought to be incontestable. There are situations in which custody is contested, however, and any evidence of violence committed by one party against another must be fully explored. In considering custody of children, it is essential to ensure that the spouse obtaining custody is of sufficient educational background to assist the children as needed. During deposition of the spouse, questions may be asked concerning how any illegal or criminal conduct may affect the ability to take care of the children or his/her relationship with them. In such cases as the above, an attorney representing the spouse may invoke the Fifth Amendment in opposition to that question. This is particularly true if the spouse is currently undergoing a criminal investigation and/or if charges have been leveled. The attorney deposing the spouse may interpret the invocation of the Fifth Amendment as meaning that the question, if answered, would reflect unfavorably on the spouse being deposed. Both the attorney representing the spouse and the opposing attorney may discuss any possible objections that could arise to questioning that centers around mental health-related issues. There are many procedures and/or restrictions that must be observed in these cases, and all should be taken into account so that disclosure can be obtained properly. The divorce lawyer will ask the spouse about methods used to discipline the children. This should include punishments (whether verbal or physical) that are cruel, unnecessarily or excessively severe or that involve shaming the child whether or not others are present.